The Y is about many things, but at its core it is about community. Community means different things to different people at different times. At one moment a community may be a community of two people, whether they are friends or recent acquaintances. At other times it’s about a focus on the common good and, at other times, a sense of community is forged by people celebrating a shared experience and appreciation for shared values. All these aspects of the Y community were very much in evidence this past Saturday night as about 100 members, friends, volunteers and associates gathered at what is now known as the Orokawa Y to celebrate the 60th Anniversary of the Y in Towson. The celebration was the brainchild of the family of Gordon MacGregor (some of whom live in Baltimore and are Y members), the General Executive Director (equivalent to a CEO) of what was then known as the Greater Baltimore YMCA back in the 1940s. 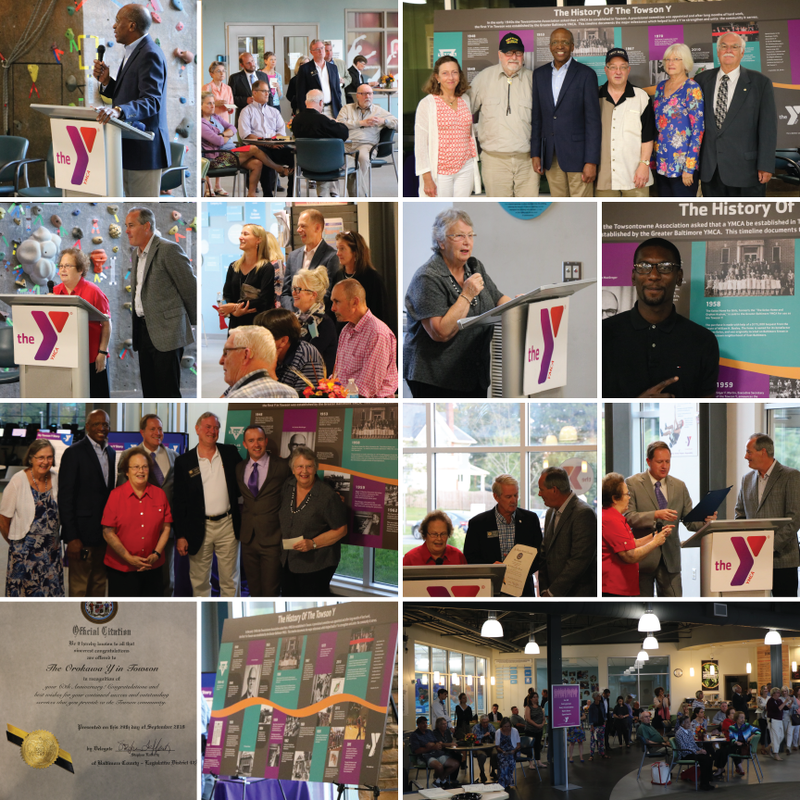 With their initiative, a committee of volunteers and Y associates was formed well over a year ago and planning began to compile the history of the Towson Y. The result unearthed a fascinating history of a Y that was, from its inception in the 1940s, as dedicated to inclusiveness and strengthening the bonds of community as it is today. The full timeline is on display now at the Orokawa Y and is much more elegantly depicted and expressed than anything I could hope to capture here. I urge you to stop by and take a look. No matter how young or old you may be in your Y journey and no matter what part of the Y in Central Maryland you personally connect to, this timeline and the history it memorializes will remind you that by being a part of the Y, you are part of a proud and unwavering commitment to values which celebrate the goodness and potential in every human being and community. Many thanks not only to the MacGregor family for having the foresight to start all this and Bradley Alston for his diligent research and generous donation of time, but also to Ryan Gadow, his team and the larger team of Y volunteers and associates who worked so hard to properly mark such an important milestone in our history.